Author Pedro Aviles will help you see and understand what the Hispanic tsunami means for the church—both in challenges and opportunities. Only available to Christian Reformed churches. A Hispanic tsunami sweeps throughout North America. The momentum of the waves of Hispanic people is increasing in size and in strength. Some call this tsunami the "browning of America." But what does it mean for you? 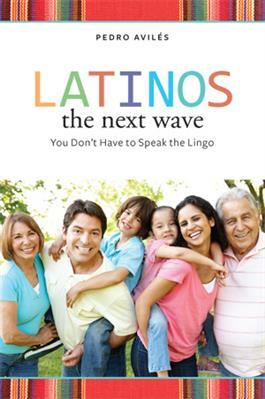 In this helpful, insightful, sometimes humorous book, author Pedro Aviles will help you see and understand what the Hispanic tsunami means for the church—both in challenges and opportunities. He'll invite you to get to know Hispanic people better by discovering common traits many of them share. And he'll challenge you to imagine and begin working toward a 21st century church in which all North American Christians—Hispanic, Anglo, Asian, African American, Native American, and others—learn how to work side by side to build God's kingdom.